Watch My Garden Grow: Welcome September! Wow! September is here....shorter days....beautiful shadows as the sun goes south. 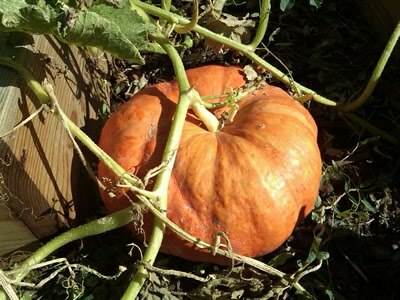 Pumpkins are bright orange...zucchini are still arriving in my box; about two a week! I'll be trying more zucchini recipes this weekend.